Blog: How can I make the most of a large hallway? This uniquely large upper hallway between bedrooms in a SW Calgary home we staged is a perfect example. Before staging this large hallway, you could walk by, maybe grab a book and look out the window on your way to somewhere else. It was a bright and airy traffic zone, but a wasted opportunity in terms of usable space. 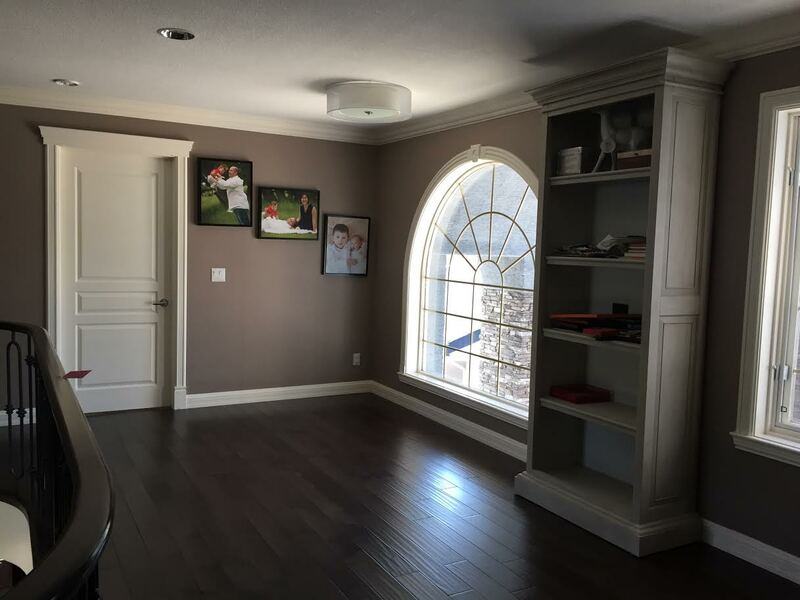 During staging, we removed the personal photos, re-located the bookcase, and created a quiet and cozy reading, coffee, or conversational area for two by the picture window. 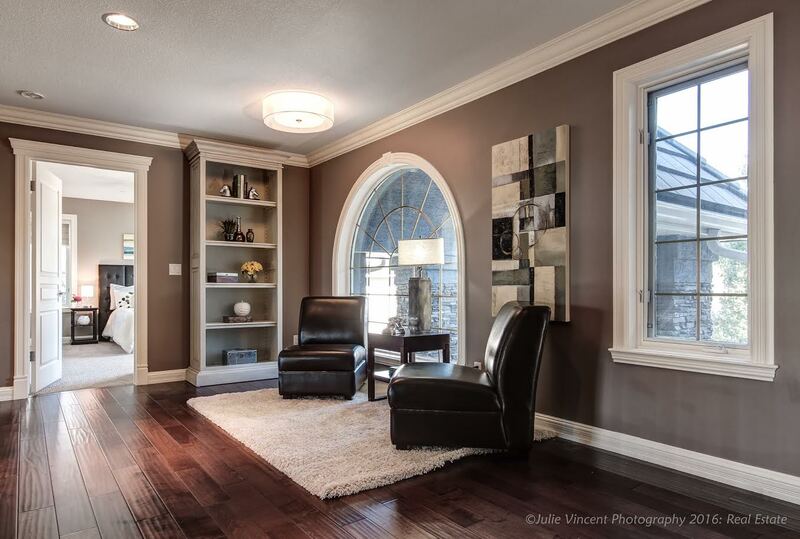 After staging, potential buyers can easily see how to USE AND ENJOY this large hallway. Now it’s more than just a walkway, it’s a special feature and selling point. It creates an emotional trigger as buyers imagine themselves relaxing there. And it’s that anticipated pleasure that buyers will remember. How else could you stage a large hallway? Depending on where it is located and how large it is, consider a small office area, extra storage space, play zone, or craft area. Just make sure it looks tidy and pretty and still leaves plenty of space for easy movement. Do NOT make this a clutter zone! So go ahead and look at your large hallway with fresh eyes and a bit of imagination. Keep the lifestyle of your potential buyers in mind. Identify a suitable function and then stage it! Got staging questions? Let’s chat more about how my home staging experience can help you sell your Calgary listing faster. Find out more and get in touch with Elysse at Simply Stylish Staging today.